Side slash and back welt pockets. Slim fit; straight legs slightly taper. 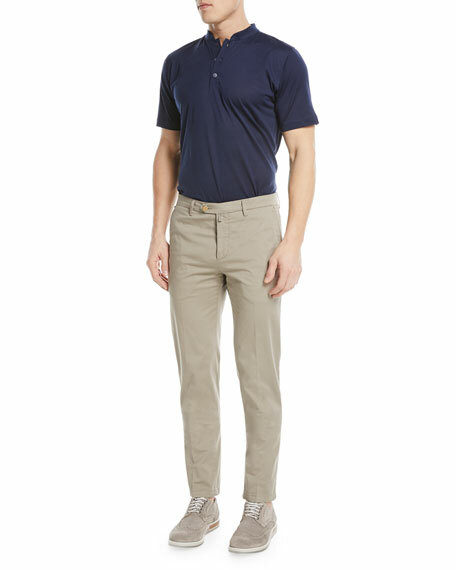 AG Adrian Goldschmied "Tellis" fit pants in stretch-twill. 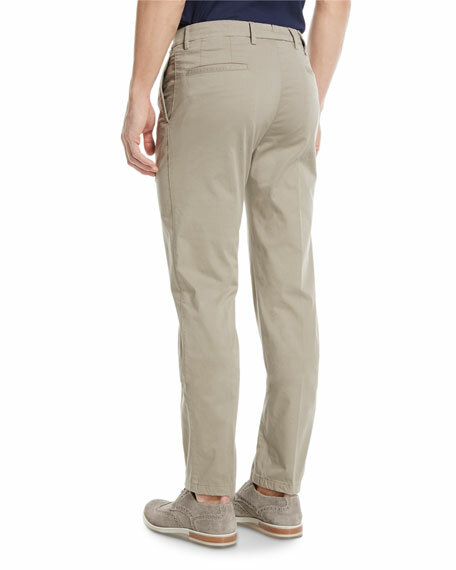 Five-pocket style; signature stitching at back pockets. Leather logo patch at back waist. Skinny fit; tapered legs. Button/zip fly; belt loops. Cotton/polyurethane. Imported. 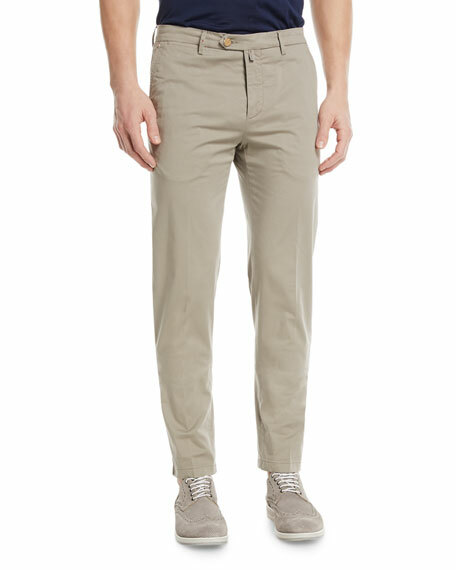 Ermenegildo Zegna pants in textured wool-blend. Five-pocket style. Flat front. Straight leg. Hook/zip front; belt loops. Layered cuffs. Wool/spandex. Polyester/cotton pocket lining. Polyester/spandex lining. Leather trim. Made in Romania. Model's measurements: Height, 6'1"/185cm, Suit 40L, Shirt 15.5 x 35, Waist 32"/81cm, Inseam 33"/84cm.